When it comes to auto financing, on-spot buying, servicing or you plan to value your trade by giving up your existing vehicle as an adjustment in price of a new one, Castle Honda, Morton Grove, IL is a one stop shop for all these services. We always try to make loyal customers and for that customer service is our first priority. 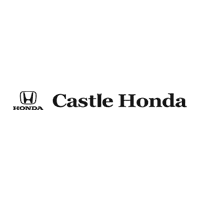 In Morton Grove, IL, Castle Honda Service Center is highly reputed for providing customers with reliable maintenance and repairs services of their Honda vehicles. Our mechanics have years of experience in fixing Honda cars and they will safely take you back on roads in least time. At Castle Honda, Morton Grove, IL we offer a variety of auto financing options for our valued customers with every sort of credit history. Apart from auto financing, if you have planned to buy a new Honda and looking for a buyer in Morton Grove, IL for your existing vehicle then simply bring it to Castle Honda and value your trade with us. To value your trade you can also get an estimated price of your existing Honda. Fill up our value your trade online form. You just need to enter your contact info and vehicle details and upload its interior and exterior pictures; our sales team will provide you with the estimated quote of your vehicle in just a few minutes. So, value your trade with Castle Honda, Morton Grove, IL, get your new Honda and save some precious bucks.